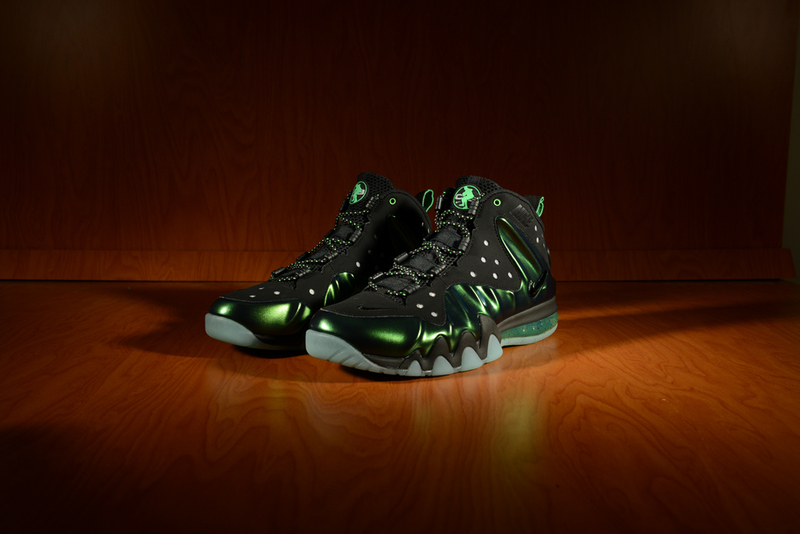 If the Green Goblin was to wear Nike’s, these might just be the pair of his choice. 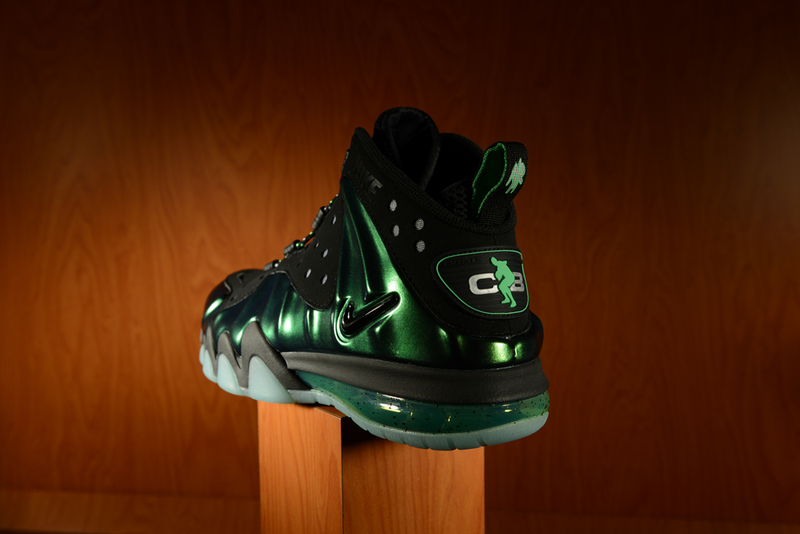 The Nike Barkley Posite Max “Gamma Green” reflects a glossy, futuristic touch to it, especially with the Foamposite elements constructed onto the sneaker. 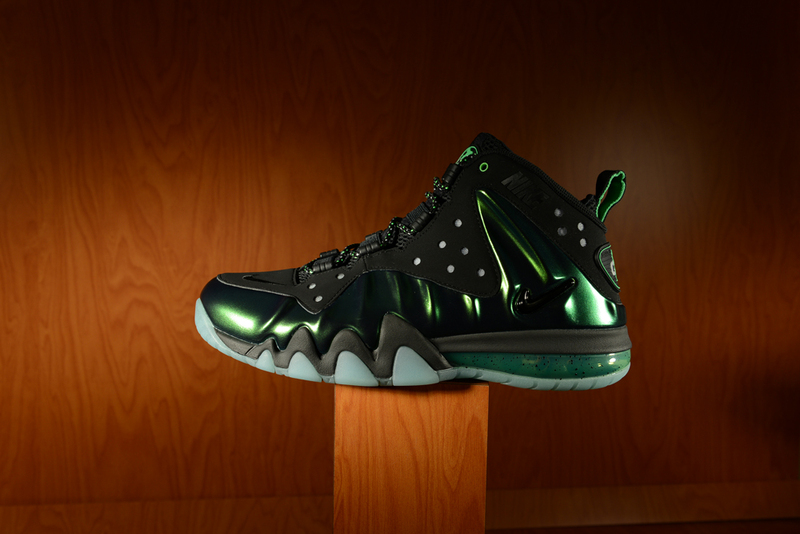 Featuring a dark gamma green upper, a black midsole and a speckled translucent outsole, the Barkley Posite Max is finely detailed by speckled laces, neon green stitching and the classic Barkley Posite branded logos at the tongue and heel. So let’s put it this way. If I’m you trying to one up some friends who were able to cop the AJ III “Crimson Reds”, I’d head over to the release locator to check out which Footaction retailers will be releasing these this Wednesday. 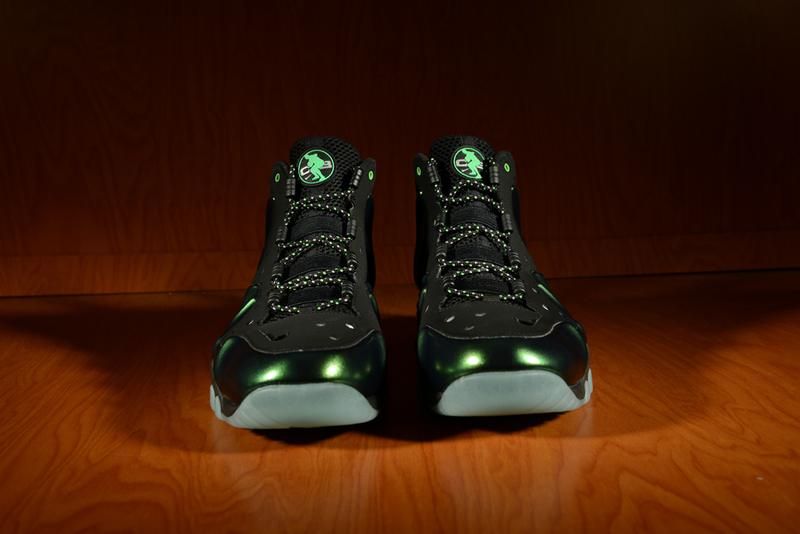 Air Jordan Retro 4 "Green Glow"